This service was developed specifically to fit the needs of men visiting Ukraine with the purpose of marriage with Ukrainian (Russian) women. You may need expeert advice and assistnace of a relationship counselor before visiting Ukraine or during your visit. Before your arrival to Ukraine, you may already have some connections and correspondence with Ukrainian women; If you would like to verify the woman's intentions, or have her personality profile developed for you, you are waleome to contact our professional counselor Irina Timchenko. 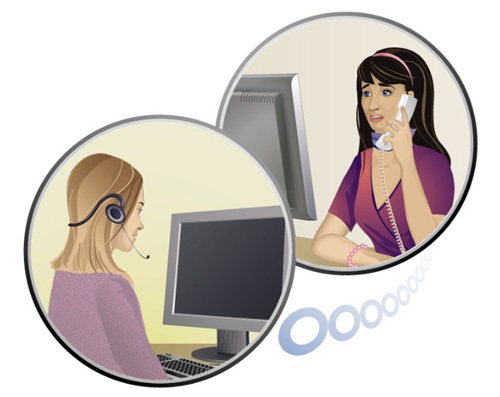 The counseling meeting bay be arranged by phone, in Skype or in DU Network's chatroom, as a one-on-one meeting between you and the counselor, or as a three-way conversation with participation of your woman-friend. The counselor will interpret for you during the meeting, if necessary. Then, the counselor can provide her comments about your lady's personality, and about the potential for your relationship. During your visit, you can also make benefit of using professional counselor. The first personal meeting with a woman is a very important moment, where both people need to learn quickly, and adjust to each other's manners and lifestyles. In this situation, you may need to ask an expert in relationships, who is also a local culture representative, to tell you about Ukrainian culture and lifestyle specifics, and to explain the woman's positions, opinions and intentions. This service may become critically important in situations of cross-cultural misunderstanding or misscommunication. During your trip, you may to request a phone talk with our counselor Irina Timchenko, or even to arrange a personal meeting with her.